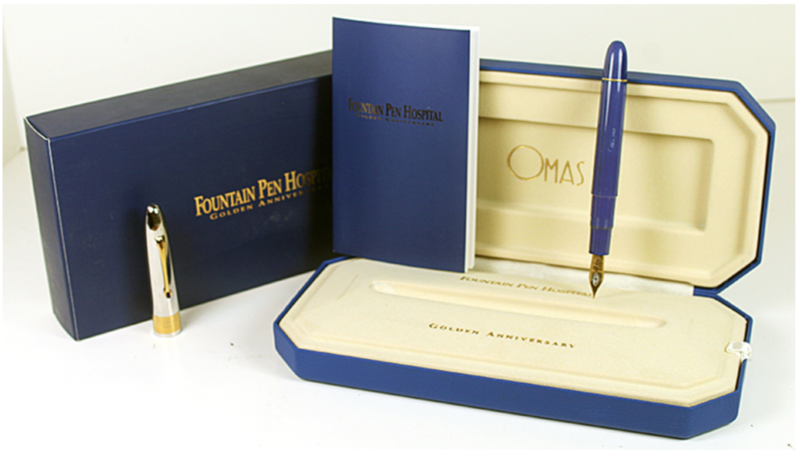 This is a 1996 Omas 50th Golden Anniversary Fountain Pen Hospital LE 43/100 PIF in Royal Blue with Polished Rhodium-plate cap. Round “Ogiva” shape. GPT. Two-toned 18K medium nib. Introduced at a list price of $1,200, the 100 pen edition was completely sold out in two weeks. New-old-stock. Although in original box (with papers and outer box) the cap plating shows distress and one minor scratch. Because of this I’m calling it user grade. Item #133 in Catalog #84. 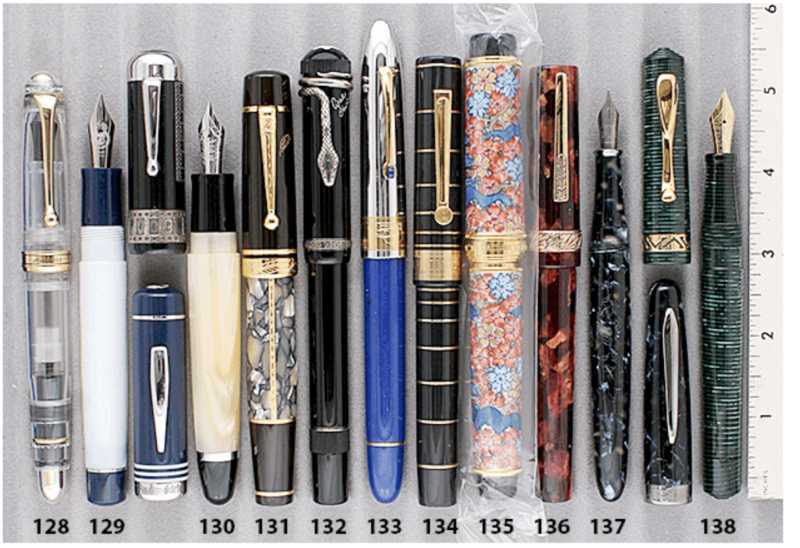 This entry was posted in Modern Pens, Vintage Pen, Vintage Pens and tagged Catalog, Catalogs, Extraordinary Pens, Fountain Pens, Go Pens, GoPens, Omas, Vintage Fountain Pen, Vintage Fountain Pens, Vintage Pen, Vintage Pens. Bookmark the permalink. Follow any comments here with the RSS feed for this post. Post a comment or leave a trackback: Trackback URL.